Do you want me to stop asking you questions? Well, I have the perfect place for you. I don't normally do restaurant reviews on my blog. That is what Yelp and Trip Advisor are made for. I'm making an exception this time and that's because this is an exceptional place. It's like a local Disneyland for children and adults alike. Kind of. First, it's a frozen yogurt bar. They have between 8-10 flavors of the freshest, most delicious frozen yogurt I've ever had available every day. 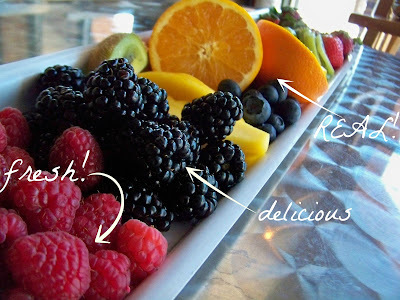 They use fresh fruits, real chocolate, real herbs and other real ingredients to make flavors like red velvet, lavender, after-dinner mint, honeydew basil, orange dreamsicle and more. The reason why I'd come here every day: the cupcakes. These cupcakes are the most moist, fluffy, flavorful cupcakes I've ever had. And I've eaten a lot of cupcakes. A LOT. Yo Daddy has over a dozen flavors of cupcakes available fresh EVERY DAY. What else does Yo Daddy have? Wine and beer for mom and dad! Over 80 selections of champagne, wine and beer are availble for your drinking pleasure. 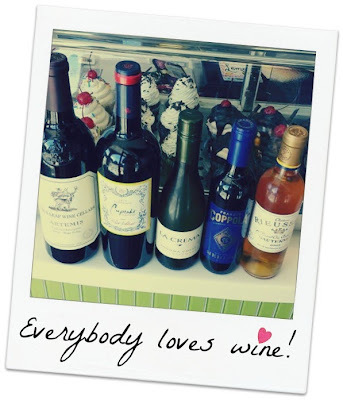 When I visited, I'd never purposefully paired a cupcake with wine before. It seems to be a natural fit: sugar in the wine, sugar in the cake--other than a wedding reception, I'd not thought to make that party happen in my mouth. 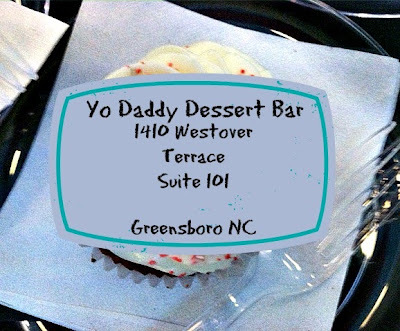 So, bottom line--get yo self to Yo Daddy Dessert Bar and tell them Nik sent you! oooo I've heard about this place! Will have to visit them next time I'm in Greensboro! And let me know when you're in greensboro and I'll go with ya!